Long waiting periods at public facilities and high costs at private clinics make it difficult for many women to access reproductive healthcare. 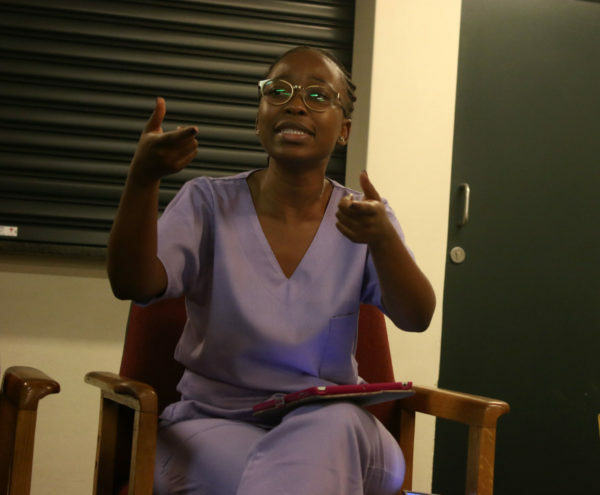 Wits students expressed frustration at barriers to reproductive healthcare in the public sector at a panel discussion titled ‘Whose Body s it Anyway’ held at Wits Junction on Friday, March 16. The panel included former Wits student and founder of Abortion Support South Africa, Gaopalelwe Phalaetsile, who described her experience at an illegal abortion clinic after she was turned away from Charlotte Maxeke Hospital due to a 20-week long waiting period in her first year. Phalaetsile said access to reproductive healthcare remained inaccessible to many. “Women are desperate and often call us to ask for home abortion concoctions,” she said. Many women are unable to access healthcare at private clinics because they are unable to afford the procedures and medical aid is not required to cover elective reproductive services. At private clinics such as Marie Stopes, an abortion pill costs at least R1 800, while an abortion procedure can cost up to R5 000. Sister Ludo Dube, a nurse at the Wits Campus Health Centre, says that the stigma around abortion is preventing many women from accessing it. “Most [students] don’t want to tell you [that they want to get an abortion],” she said. The Wits Campus Health Centre does not provide abortions but it does provide contraceptives, refers students to abortion clinics, and discourages them from obtaining illegal abortions. The nearest Marie Stopes clinic to Wits campus is located in Gandhi Square. There is no waiting period for abortion pills and the waiting period for medical abortions depends on the availability of the doctor. Featured Photo: Final-year medicine student, Xolo Mdletshe, speaking at the ‘Whose Body is it Anyway?’ panel discussion.